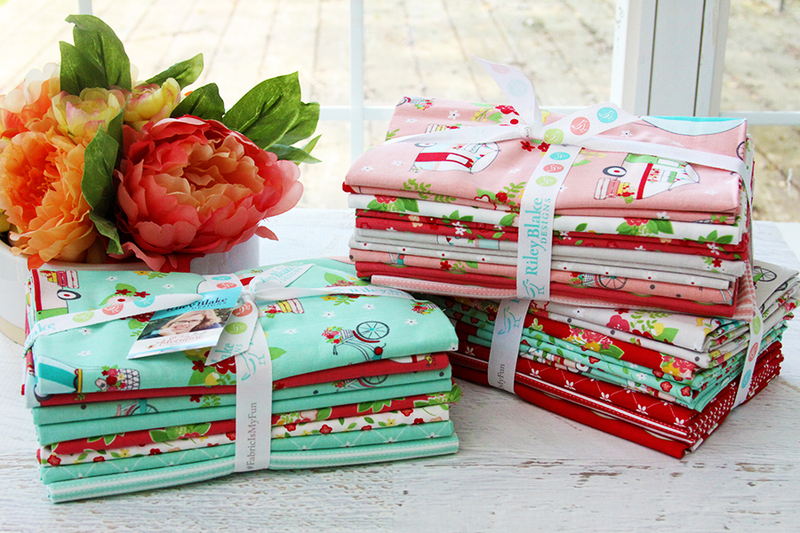 It’s week three in our Vintage Adventure Blog Hop! I’m so excited about all the projects that these super talented girls have made! 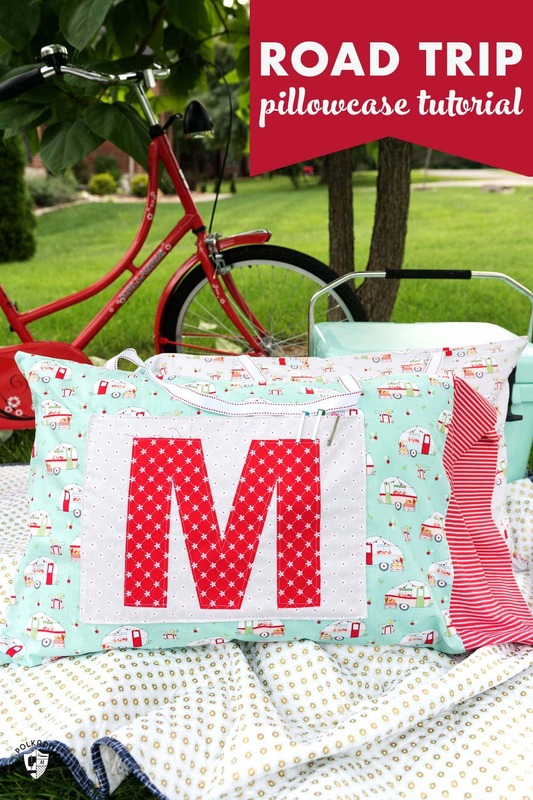 Melissa from The Polkadot Chair made up these fun Road Trip Pillowcases and they are perfect for Summer!!! Aren’t they fun?! I love that they have a little pocket in them so you can keep track of things in the car. She has a great tutorial for you too!! We have another great pillow project this week too! Shelly from Coral and Co made up this sweet Dresden pillow and she has a tutorial and video for you! I’m so in love with how colorful it is – and how great is that stripe piping on the diagonal?! I haven’t done anything with the stripe at an angle like that yet but you can bet I’m going to now!! Don’t forget to share your projects on Instagram with the hashtag #vintageadventurefabrics so we can see what you’ve been making! You can find other Vintage Adventure projects here! I think you have come up with the most beautiful collection of fabrics and designs I have seen for a very long while. Thank you so very much. My grand daughters 4 and a newbie on the way, mustn’t forget that! have asked me to make them sheets, pillow cases, and a quilt for their beds. I have absolutely no idea how to work fabric requirements for one let alone four, so if you have any thought please let me know. I’ve already got some grey hair I will probably be pulling it out soon! Congratulations on the most beautiful project I have seen in a long while.